As the name suggests, autoimmune disorders (diseases) affect the immune system, forcing it to cause damages to the affected areas. The body’s ability to defend itself against diseases is compromised. The immune cells become attached to areas like joints, muscles, organs, nerves, and glands, causing damages. Examples of the common autoimmune disorders include rheumatoid arthritis, lupus, psoriasis, and multiple sclerosis. Diabetes type 1, Grave’s disease, celiac disease, and inflammatory bowel disease are also classified as autoimmune disorders. 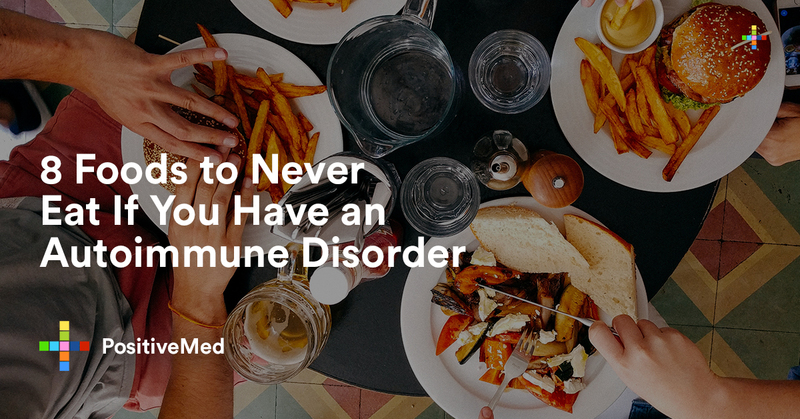 It is estimated that more than 24 million Americans suffer from an autoimmune disorder. These disorders are more prevalent in adults, and women are at higher risk than men. Inflammation of the body tissues occurs when there is an overproduction of cytokines. Diet can significantly determine the number of cytokines that the body produces. Thus, dietary management is crucial when it comes to treating autoimmune disorders. Although the crunchy butter that makes the top layer of fried food is unhealthy, the high temperature is what initiates the inflammation process. Frying heats the food to between 350 and 375 degrees. These temperatures cause the production of neurotoxic chemical referred to as acrylamide. Studies published in the journal Toxicology Letter indicate that the neurotoxin triggers oxidative stress, which in turn causes cell damage through the inflammation response. Products from refined carbohydrates are broken down quickly which lead to an increase in blood sugar. A sudden increase in blood sugar is associated with an increase in inflammatory response. This causes symptoms such as swelling and pain in joints and muscles, which are typical of autoimmune disorders. Trans fats can be found in foods like processed snacks, cookies, donuts, crackers, and fast foods. It is important to check the labels for the words “partially hydrogenated.” Various studies have linked trans fats with chronic inflammation. Although drinking in moderation is deemed healthy, studies have shown excessive alcohol use causes systematic inflammation. Additionally, there are numerous alcohol-related medical conditions that result from chronic inflammation. 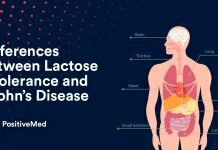 Alcohol causes inflammation by interacting with bacteria in the gut. Vegetable oils contain the polyunsaturated fatty acids which encourage oxidative cell damage. In addition, they contain high levels of omega-6 fatty acid which can worsen inflammatory response. Examples include canola, peanut, corn, sunflower, sesame, soybean, and safflower oils. Any type of meat that is cooked with high temperatures contains high levels of inflammatory compounds. Studies have shown that these compounds are linked to conditions like diabetes, heart disease, kidney failure, and Alzheimer’s disease. Foods containing monosodium glutamate (MSG) can trigger liver damage. A Japanese study that was published in the Journal of Autoimmunity found that mice injected with MSG developed disease pathways associated with non-alcoholic fatty liver disease and non-alcoholic steatohepatitis in human. Based on the seriousness of these findings, the scientists suggest the elimination of MSG from the food chain. Aspartame acts as an artificial sweetener. It can be found in medications, beverages, and some foods. Although it was approved by the Food and Drug Administration (FDA) in 1981, researchers are still questioning its safety. In reference to a study published in the journal Nutritional Reviews, aspartame is associated with certain side effects. Examples include systemic inflammation, cellular damage, and impaired cellular function. Some experts argue that aspartame is a potential neurotoxin. Broccoli: It has antioxidant glutathione which inhibits inflammation. Turmeric: Contains an active ingredient curcumin which suppresses arthritis symptoms. Flaxseed: It is loaded with omega-3 fatty acids which have powerful immune system regulation properties. Green tea: It contains EGCG, a compound that can prevent and treat autoimmune disorders. Halibut: It is rich in vitamin D, which can alleviate symptoms of conditions like lupus, multiple sclerosis, and rheumatoid arthritis.